As good as a traditional 'all red' bag can be, sometimes your sweet tooth wants to explore the rainbow on the gummi fish horizon! 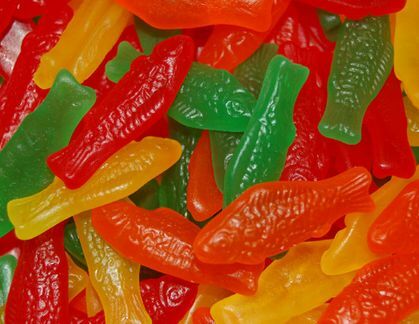 And when that day comes, these assorted Swedish Fish will be waiting to add lemon, lime and orange flavor to the magnificent mix. Don’t worry - he red fish are still in there, too! Gummy fish candy is a favorite of all ages!